I’m fresh back from the HIMSS 2011 show in Orlando, FL and still a bit exhausted from the trip. But I wanted to share some of the things I saw there and what it spells out for the future of the Healthcare Technologies. As with every HIMSS conference it was a who’s who in every category of healthcare systems- hardware, software, communications, data security, RFID and Location Services, Telemedicine, even down to the mobile carts used to move PC’s around the hospital. And that was just the product vendors, there were about the same number of Healthcare Service providers that offer everything from EMR software integration to mobile device application development. While I checked out the impressive booths and vendor pitches. I tried to get my head around the trends that our Healthcare clients should be aware of so that they can be on the lookout for the trends that will impact their organization in the coming year. Visualization and Business Intelligence- Software vendors have taken the critical measures of an efficient hospital and created dashboards to give the service providers a visual representation of where things are in real time. Having the business intelligence metrics show on a status monitor is an important trend to increase efficiency inside hospitals. How long is the average wait time in the ER? It’s a dashboard right on your screen with a gauge showing green, yellow and red based upon acceptable levels. Collaboration, not Just Communication- Traditional person to person communications are simple, I call you, and we talk. Todays’ healthcare communications are about workflows and how groups can collaborate on providing the best care. It’s also more than just mobile phones or wireless VoIP. It involves messaging of nurse assignments, push to talk technology for emergency assistance, quick conferencing with the response team, and different types of communication based upon the level of emergency. Some systems have even integrated Location technology so that you know the closest available resource to help. Intelligent Mobile Devices- In today’s hospital environment there are many different types of mobile devices, some will rarely leave a particular room. But the idea is that every device that can have intelligence built into it should. Infusion pumps have Wi-Fi chipsets that upload data as well as show location using Wi-Fi-RTLS. Imagine how many errors would be avoided if more medical devices would automatically upload test results directly into the patients EMR? Want to check the weight of a patient? The hospital bed shows you in real time and the data is automatically uploaded to the patient’s medical record….all over the hospital wireless network. The useful applications of intelligent mobile devices in a hospital are endless. Healthcare Technology is about Integration- If you’re going to manage a hospital networking environment. You have to be able to pull many different platforms of technology together into one working system. All of the items above weren’t just one product; they were a complete solution that involved many different systems, from many different vendors. The biggest challenge for healthcare tech will be the ability of the healthcare providers to pull all the different systems together into one working platform….or find a vendor who can do it for them. 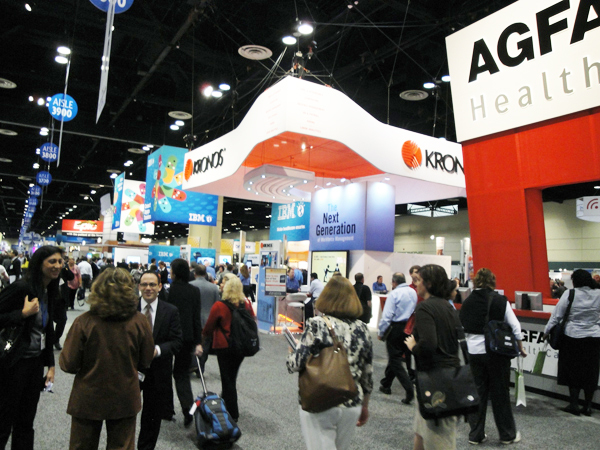 Did you attend HIMSS 2011? What trends did you think will impact Healthcare IT in the coming year? (Comment below). 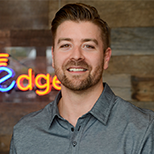 SecurEdge Networks designs, deploys, and supports large scale mobile infrastructure to help healthcare providers manage all of these mobile initiatives. If we can help your organization, you can contact us here to speak to one of our experts on mobile healthcare technology.